TAMPA- Homeowners struggling to make their mortgage payments should beware of con artists and scams that promise to save their homes and lower their mortgage debt or payments. 1. Beware of anyone seeking to charge you in advance for mortgage modification services – in most cases, charging fees in advance for a mortgage modification is illegal, except for an attorney or a licensed mortgage broker. 2. Applying to the federal Home Affordable Modification Program (HAMP) is free and for the public. 4. Check references. If an individual or company claims to be affiliated with HAMP or displays a seal or logo representing the U.S. government in correspondence or on the Internet, you should check the connection by calling the Homeowner’s HOPE™ Hotline. Also, by asking the company that is assisting you for their NMLS number. This states the approval for the company or individual to conduct business in mortgage modifications. 5. Beware of individuals or companies that offer money-back guarantees. 6. Beware of individuals or companies that advise you as a homeowner to stop making your mortgage payments or to not contact your mortgage servicer. Blick Law Firm understands your options and can negotiate between you and your mortgage company. Do not just let anyone who claims to be experts help you! We are experienced and able to help you with your loan modification, mortgage loan and approval. Call today for your free consultation and screening at 813-931-0840. 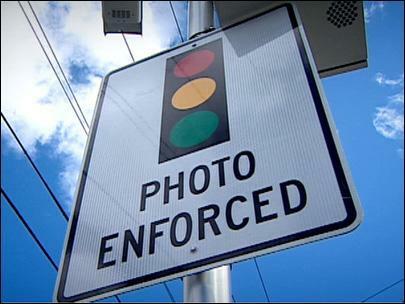 Hillsborough traffic court judges, Ober, Weis and Vogel, recently ruled that the county is using valid methods of enforcing tickets and collecting fines for running through a red-light caught on camera. Several arguments have been presented against the law, but so far have met with little success. Right now violators have 30 days to respond to the traffic citation. The argument has been to allot 30 days from the time the violator has been notified, verses when the official traffic citation has been mailed. Another argument: government officials should not be allowed to testify because they have no first hand knowledge as to when the citation was actually mailed. Dispute of surveillance videos should not be allowed as admissible evidence in a robbery, without a personal testimony from someone as to how it made its way to the courtroom. No one was at the scene when the picture was taken, there is no witness to testify. **On infractions when a person is represented by an attorney, they are not required to appear in court. However, Florida law still requires that the officer prove the identity of the driver. Even if someone were to admit to their attorney they were guilty, our country is founded on the principle that the Government must prove their case, and the accused does not have to disprove anything. If a vehicle registered to you has been caught by a red-light camera, call your traffic ticket attorney today and seek legal representation that can assist you and defend your rights. Let our experience of over 25 years work for you. Think quick, call Blick! 813-931-0840. Tampa- Due to the increase in Florida insurance PIP fraud and number of reported claims compared to actual reported accidents with injuries, Florida lawmakers have agreed that there is need for change with the current law. According to The National Insurance Crime Bureau, Florida is now the leader in the nation for staged auto accidents where numerous alleged “passengers” each access their $10,000 of PIP benefits from providers who are neither licensed nor have an identifiable address. In 1972, Personal Injury Protection (PIP) was to introduced to assist accident victims and offer the benefit of providing money for injured drivers to take care of immediate injuries through visits to doctors and hospitals. Due to the exploitation of the system, prices for insurers and consumers rose steadily. PIP claims are a major cost-driver of auto insurance rates and predictions that PIP insurance premiums will only increase this year. Although the Florida Department of Financial Services have been investigating and prosecuting those involved with insurance fraud, there is more that will be done. Recently Rick Scott addressed this issue and plans to make it a priority to resolve. It is not only affecting immediate parties involved but directly affects Florida’s families, the economy and job creation plans and proposals. Many proposals are being passed around, one being those involved in auto accidents will have a 72-hour window for reporting to the emergency room, physician, or similar facilities in hopes to decrease fraud. Also police will be required to fill out a more uniform report of all accidents for better insight to investigations. Stay tuned for more updates as Blick Law Firm will report any changes to the Florida auto insurance law. We want you to be aware and understand how this can affect you and your loved ones driving on the road. If you want to understand more of your insurance coverage or have certain questions please give Blick Law Firm a call today at 813-931-0840. Short sales are a lenders best friend! Only until recently, Lenders are starting to embrace the idea of Tampa bay short sales. In the past three years, there has been a 350% increase in the amount of homes sold through short sale, according to Corelogic’s most recent numbers. How are banks benefiting from this? Banks benefit because it decreases the large amount of foreclosures, alleviating the court systems of back logs related to foreclose cases pending. In a short sale, there is a seller & buyer. The seller gets out of their home, often with a cash incentive to help with relocation expenses, and most banks do not hold a deficiency judgment against them. The buyer gets a nice home at a very reasonable cost and neighborhoods do not suffer from run down or vacant property. Therefore, the bank is satisfied as well as cultivating economic stability and growth. Everybody wins! If you fear you are in danger of losing your home, don’t hesitate. Think Quick! Call Blick! Our real estate department is ready to counsel and guide you towards your best option for you and your loved ones. Call us today at 813-931-0840 and receive a free consultation! Just mention this article!